The Universe is telling me something! I checked my bank account this evening and out of the blue, I’d received $4,392 today in royalties from a past film. Completely unexpected. I cannot believe it. The extra $200 will cover taxis and incidentals in transit. If you follow your intuitive path, then everything will be okay. Today I booked the flights to Spain. Well, actually not to Spain, to Paris. Because from there I can fly to Biarritz, and from there to St. Jean Pied de Port, which is where I’ll start my journey. I’m not sure how I’ll get from Biarritz to St. Jean Pied de Port, but it’s only about 60kms so if I get the urge, I can walk. But after 26hrs traveling from Australia, it might be easier to get a train! I’m very excited though about actually booking a ticket and fixing a date – April 10 will be when I arrive in France. It will still be cold. Early spring. It should be beautiful. Will I physically be able to make it? What will I take, because I’ll be carrying it all on my back. What plans should I make? Why the hell am I doing this? Let’s leave the last one for a while because that’s not easy to answer. As for #1, I’ve been walking for a while now – a few years – but I got more serious about it when I came back from Spain with the crazed notion of walking the Camino. For those of you who like the gritty detail, I have been walking about 4-5 times a week, doing either a 8km walk or a 14km walk. I do them fast – averaging about 6.5km per hr – to get my aerobic fitness up. Lately I’ve been doing the walks with a backpack, weighted to 7.5kg, and that slows me down! Yesterday for instance I did a 34km walk with the backpack between two country towns, to try and simulate as much as possible what I’ll be facing day to day on the Camino. It was hard. It took me 6 hours and I averaged 5.4km/hr. Slow for me. But I had pain in my right knee from an old running injury, and that concerned me. What concerned me more though was the prospect of doing that same walk thirty days in a row! Will I be able to do it? Thousands do, each year – many older than me, and not as fit. So as long as my knee holds out, then yes, I’ll be able to do it. 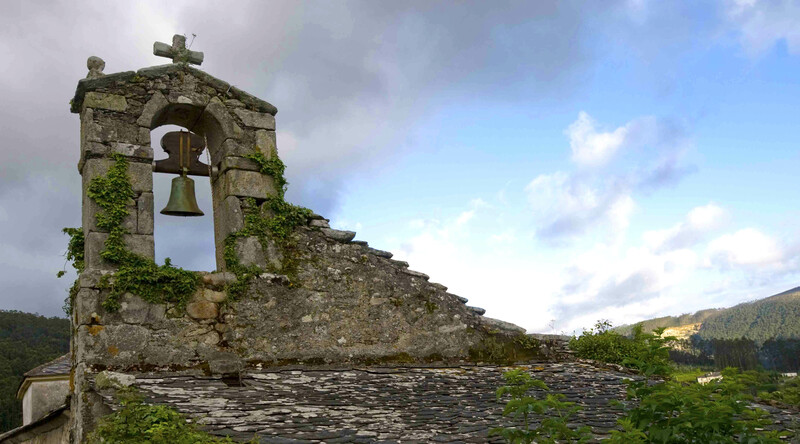 What to take: This is a big one, and in checking various forums on the Camino, there are packing lists everywhere, and advice on what to bring and what to leave behind. The one thing that everyone says though is that you should not carry more than 10% of your body weight. For me, that’s about 7.5kg. When I travel for business, I usually check in with no less than 24kg and hand luggage weighing about 12kgs. (laptop, cameras, books etc.) So getting everything I need for 5 weeks away down to a measly 7.5kg will be the first major life challenge for me! The second challenge will be social. I am by nature a solitary person – other than the relationship I have with my wife, immediate family and a few friends. (Facebook friends don’t count!) I’ll have to sleep in pilgrim dormitories, called albergues, which are mixed bunk like accommodation with shared toilet and bathroom facilities. Some of these places are infested with bed bugs, and some are pretty scungy, from all accounts. But they cost bugger all, about €7-€10 per night, and walking the Camino is all about stripping back (no pun intended) and putting yourself into situations that will at times be confronting. The last time I slept in dorm accommodation was when I was 10 years old, on a school excursion. Even then I hated it. I am doing this walk alone, and I have no desire or intention to make it a social occasion. When I walk here at home, I listen to audiobooks on my iPod. I won’t be doing that on the Camino. I want to be alone with my thoughts. I want to allow whatever might bubble up to bubble up, without any interference or distraction. Having said I’m solitary, I’m also fascinated by other people, and I’m sure I’ll get chatting to pilgrims along the way, to find out their story and learn whatever lessons they’ve been sent to impart to me. I know that sounds whacky but that’s what I believe – that people cross your path to teach you lessons. I want though to walk this ancient route at my own rhythm, at my own pace, and be open to whatever might present itself. Like I said at the outset, I don’t know why I’m walking 800+ kms – but I think I’ll know when I finish. I have a particular need to walk the Camino. And yet, I’m not sure what that need is. 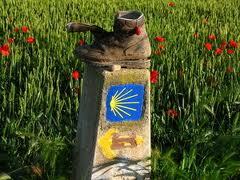 The Camino, or The Way of St.James, is an ancient pilgrimage route ending at Santiago de Compostela, in northern Spain. Lately it’s become popular with walkers who make the journey to Santiago for a variety of reasons, not necessarily religious. Last year in 2012, nearly 200,000 people walked the Camino.There are various routes you can take – some starting in Portugal, others in Seville in the south of Spain, but the majority walk what’s called The Camino Frances, which traditionally starts on the French side of the Pyrenees, in a small town called St. Jean Pied de Port. From there to Santiago is about 800km. That’s the route I intend to take, although I want to go all the way through to Cape Finisterre – “the End of the World” as the pagans called it, because they believed it was the western most point of Europe. For me, that walk will be near on 1000kms. My particular need started nearly two years ago now when I visited Spain with my wife and son, to spend time with our daughter in Galicia. She was writing a book, now published and called Only in Spain. My wife Jennifer needed to be with her to script edit. For three months we stayed in a small and very beautiful stone cottage near the sea, close to Viviero – about 155 kms from Santiago de Compostela. We’d arrived in April 2011, and in May we drove to the Cannes Film Festival. I am a feature film producer and director, and attending Cannes each year is almost a prerequisite in my job. On the way there, we stopped at a small town in the Basque region, which must have been on the northern route of the Camino, called Camino Del Norte. My wife and I sat outside a pretty shaded cafe for a morning coffee, and sitting nearby were several pilgrims. I could tell by their scallop shells on their backpacks. 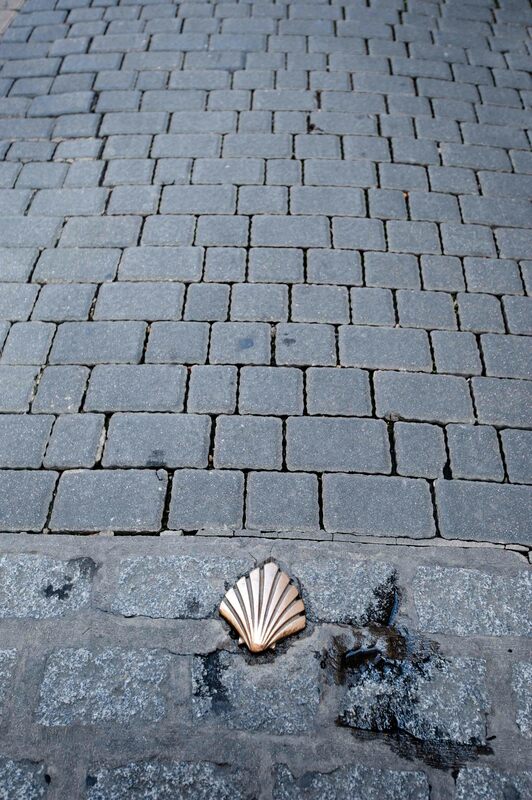 The scallop shell is the symbol of the Camino, dating back to ancient times, and is used to mark the route. After coffee, I went walking around the town, and found myself in a small mercado, or market. 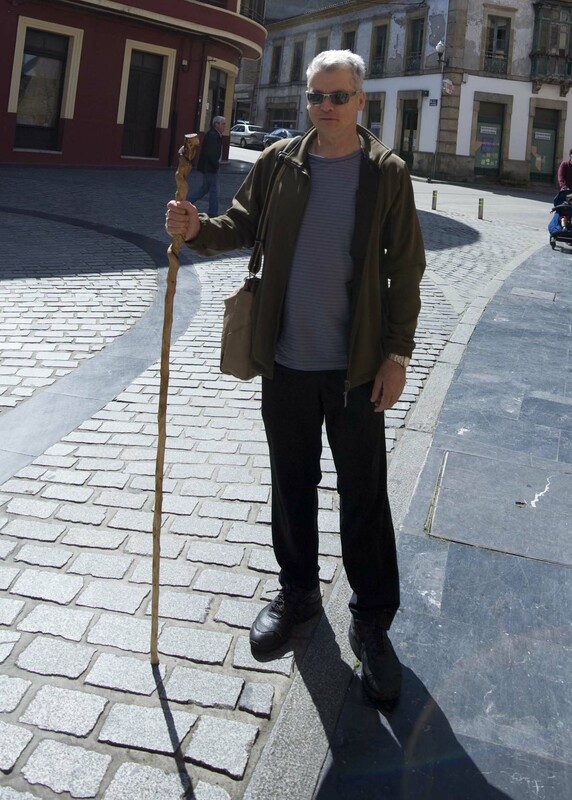 There were several walking staffs on sale, the kind the pilgrims were using. I bought myself one. I don’t know why. I just felt I had to buy it. It was nobbled and cut from a branch, not a pre-fabriated staff, and it felt right in my hand. It cost me €7. On the way back from Cannes I structured our journey so that we could follow the Camino as much as possible. We went to Burgos, Leon, Ponferrada, and many small villages on the way to Santiago de Compostela. On the summer equinox, we also drove to Cape Finisterre. 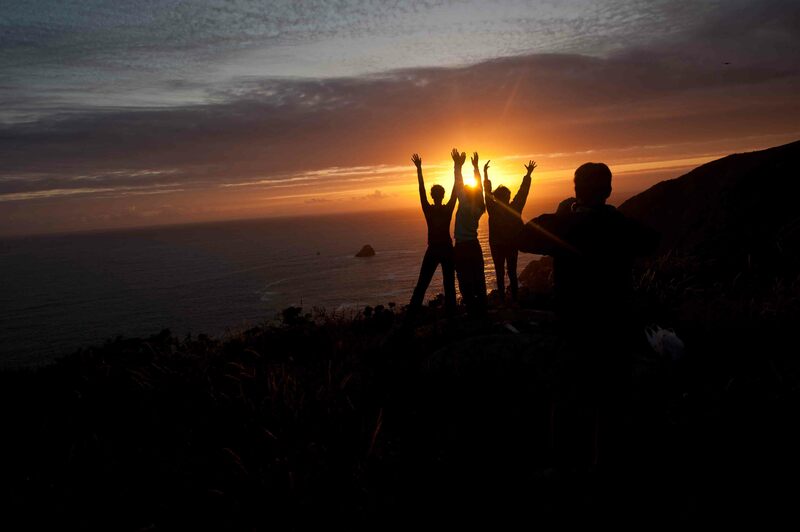 We sat on the headland and watched the sun go down on the longest day of the year – a ritual that has been followed for millennia. The headland was full of pilgrims who’d walked hundreds of miles to be there for the event. 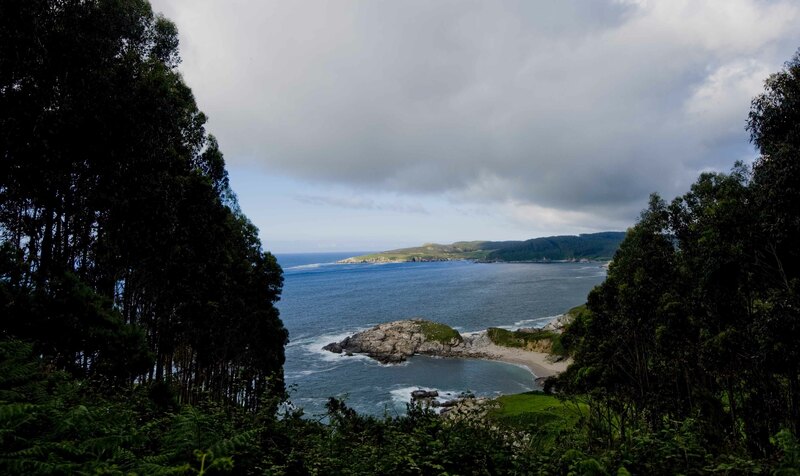 We arrived back at the cottage in Galicia and I began walking each day, taking the staff I’d bought on 12-15km walks through some of the most spectacular country in Spain. Out to a lighthouse on a lonely headland, through ancient stone villages, past ruined churches, dodging around huge barking dogs, walking in amongst tall stands of eucalypts so reminiscent of my home in Australia. I told my wife and daughter that I would come back one day and walk the Camino. They both laughed. It seemed crazy. I’m not a Catholic. This is not a religious thing. Yes, I will soon be making a film on intuition, and so my leanings are spiritual. But I don’t necessarily see my walking the Camino as something spiritual. But perhaps it will be. I don’t know. I’ll probably only know when I walk into the square in front of the Cathedral in Santiago de Compostela. In the meantime, I’m making preparations. I’m getting fit, buying gear, getting my backpack and boots ready, and I feel something building inside me. I’m fortunate to have a very tolerant and understanding wife in Jennifer. She is a wise soul. I will dedicate the walk to her. Scallop shell showing the way in Leon. I wanted to step off onto that path and keep walking.